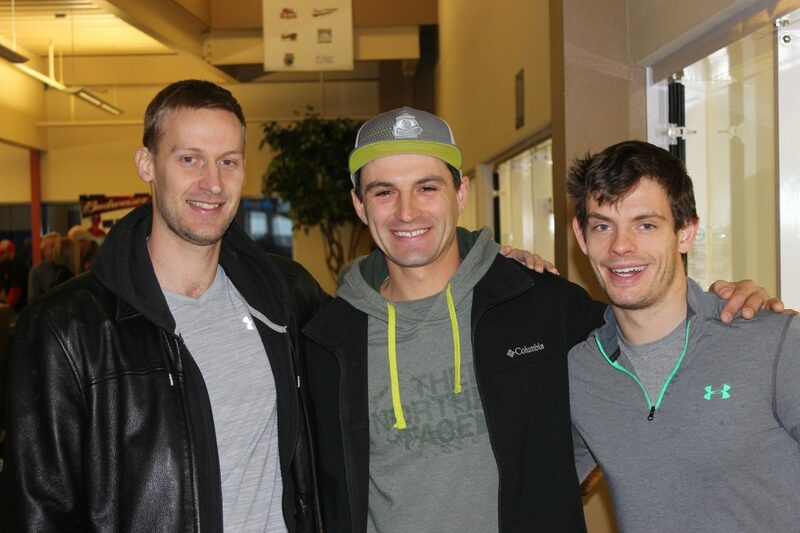 Missoula, MT, WPH Press, 1/28/18– The R48 7 Red Death concluded on Sunday, with the R48 Playoffs, R48 Final, and Pro-am doubles taking center stage at one of the R48’s best events in history. Killian Carroll and Mando Ortiz met for the third time this season and second time in a final. Carroll entered the final with a 4-3 head-to-head advantage in R48 play and rode a two-match winning streak against Ortiz into the final. Carroll regrouped in game two, never allowing Ortiz into the game and running away with the game in just nine minutes to force a tiebreaker. Carroll continued to dictate play in the tiebreaker, leading 10-4 and arriving at match point at 14-7. Following three dives, Carroll earned a right-hand setup to win the match on the 19th shot of the rally. Carroll’s right-hand kill shot attempt just missed, giving Ortiz life. Ortiz scored four consecutive points and momentarily seized the momentum. Carroll regained the side out with a kill shot and clinched his third R48 title of the season on the next rally. “Mando is playing very well this season and I’m the only player on the tour who has been able to beat him this season,” stated Carroll. This win is definitely special. 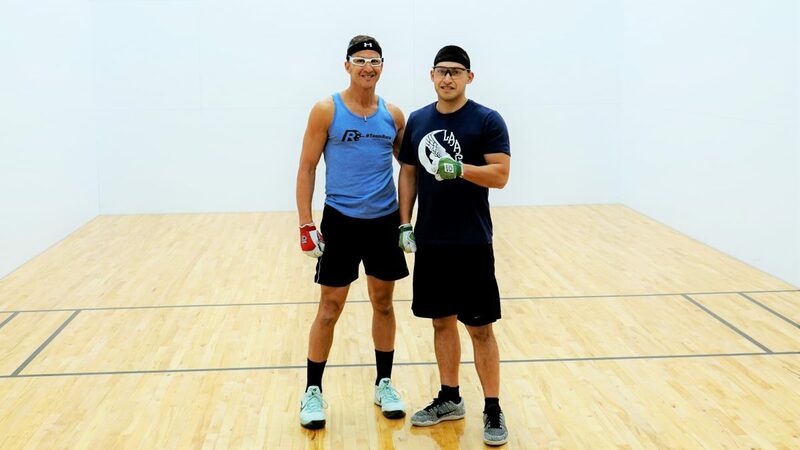 Peter Funchion claimed 9th with an impressive win against the Olympic Club’s Loren Collado, taking a 15-7 halftime lead and fighting off a second half Collado surge to win 25-18. 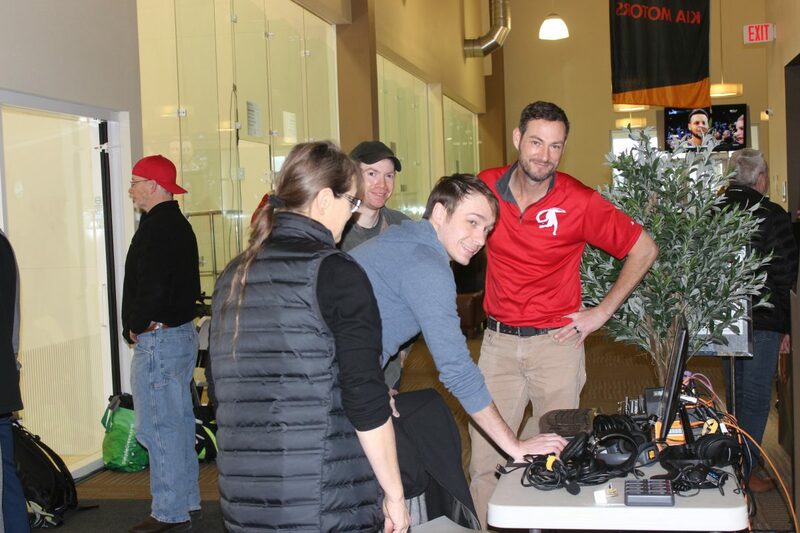 The Red Death was one of the best events in R48 history, largely due to the incredible Red Death staff of tournament directors and volunteers. 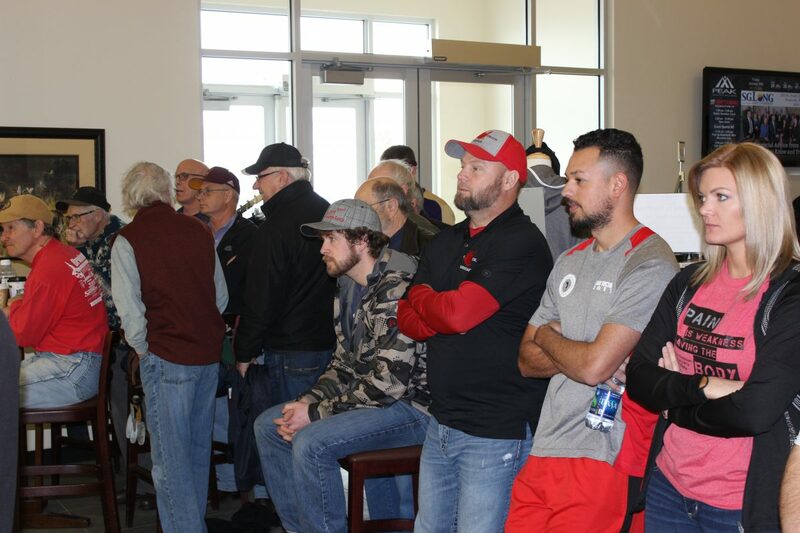 Thank you to Red Death tournament director and 2018 WPH Community Builder recipient Sean Sandau, Abraham Montijo, Shorty Ruiz, Ashley Moler, Pete Papathemetrios, Nick Flores, Red “The Nub” Jolliffe, Linda Manning, Che Lowenstein, Jeff Kastner, Kris Gurrad, Peak Health and Wellness, Paradise Falls, and all who made the Red Death a huge success. See you in Montana next year! 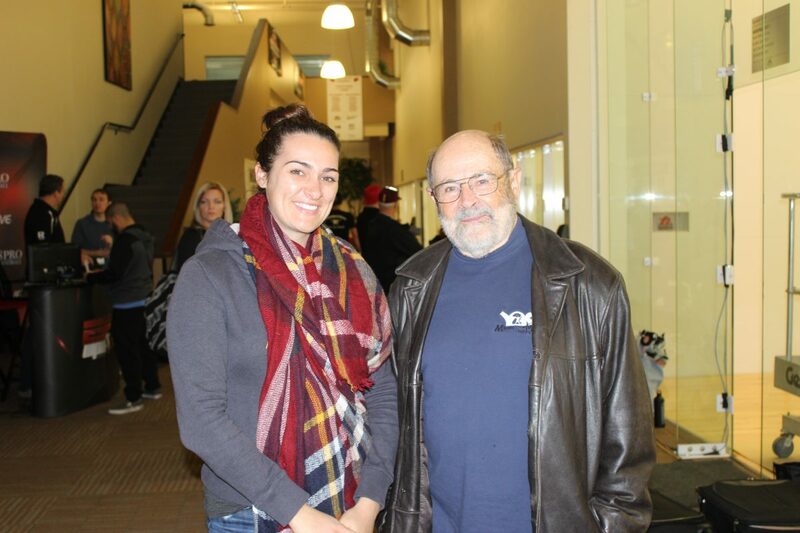 Missoula, MT, WPH Press, 1/27/18- Handball players and fans poured into Missoula’s Peak Fitness Center for an action-packed day of handball, featuring the R48 quarterfinals and semifinals, R48 playoffs, a JR WPH Clinic, and a special award for Red Death tournament director Sean Sandau. Killian Carroll and Luis Cordova met for the first time in R48 play since squaring off in the 2017 R48 6 Player’s Championship final. Carroll owned a 3-0 R48 head-to-head record against “Lucho” and quickly extended his streak to 4-0 with a 25-minute thrashing of the Juarez prodigy. Lenning and Nash would both serve for the match twice more, with each superstar staying alive with clutch side outs. Lenning would close out the match on his fifth attempt, serving an ace at 18-17 to win the longest overtime third game in R48 history. LAAC teammates Mando Ortiz and Marcos Chavez faced off for the first time in R48 play in 11 months, where Chavez became the first qualifier to defeat a #1 seed in the round of 16 in R48 history in February of 2017 in Houston. Ortiz was ruthless in game one against his mentor, crushing the 43-year old Chavez, 15-0. 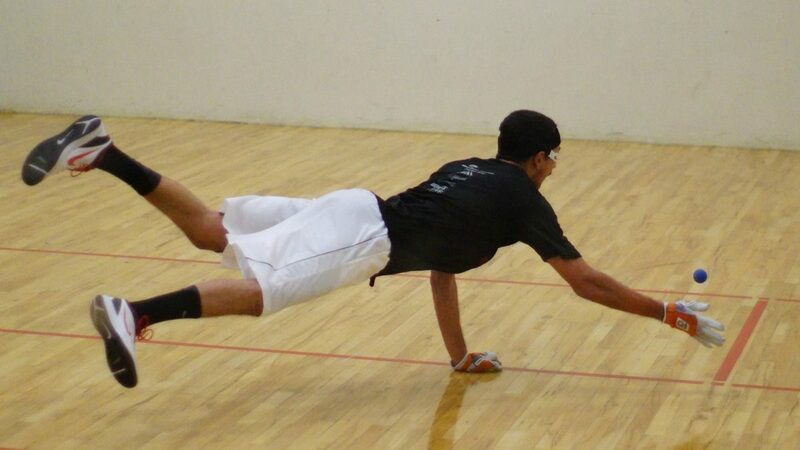 Chavez worked his way into the match in game two, playing evenly with Mando to trail by just one at 8-9. Ortiz found another gear, serving and shooting his way to six unanswered points and a semifinal birth. David Fink met Vic Perez for the eighth time in R48 play, with Fink holding a 6-1 edge on the Southern California star. Fink started hit against Perez, locating his serve to the left and right and executing kills with both hands when given the opportunity. With Fink leading 15-5, 12-3, the end appeared just moments away. Undaunted, Perez scored 11 consecutive points to serve to force a tiebreaker at 14-12. “I made one or two errors and Vic started making everything,” stated Fink. “When he gets hit, there is no stopping him.” Fink stopped Perez’s rally with a 30-foot right-handed kill in the left corner, fought off another game point at 13-14, and closed out the match at 16-15 with a right hand kill. One of the R48’s greatest rivalries added another chapter on Saturday night, as Ortiz and Fink staged a classic. Fink took command midway through game one, scoring eight of the final 10 points of the game with power serves and bottom board kills. Fink and Ortiz traded haymakers in game two, with neither R48 star able to separate himself by more than two points midway through the game. Fink led 10-8 when Ortiz caught fire, killing the ball from virtually everywhere on the court to force a third game. Fink raced to a 4-0 lead in the third game with two ace serves and two first-strike kills, but Ortiz started finding the bottom board from everywhere to build a 12-5 lead. “I was putting him in the back corners with 3-Wall wrap shots and he was killing nearly every one of them,” stated Fink. 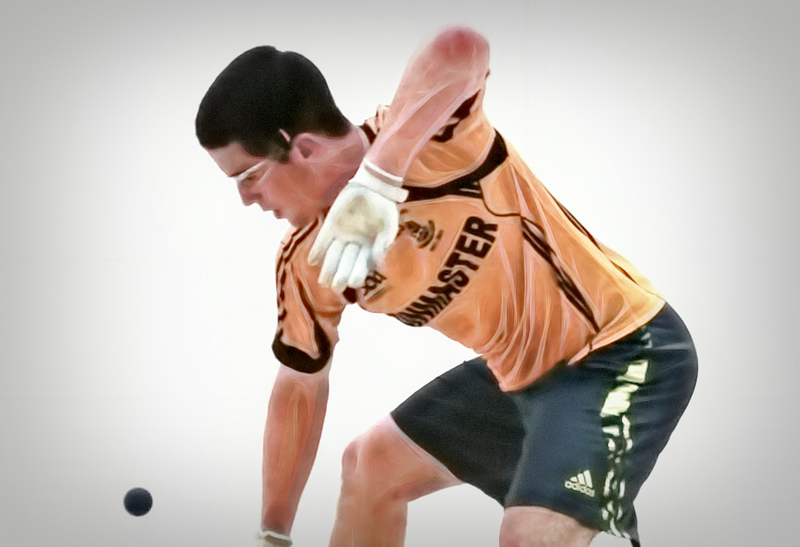 “There really wasn’t much I could do when Mando was rolling the ball from 38-feet. Ortiz led 13-7 when Fink appeared to have one last push. Two quick points closed the gap to 9-13, but a Fink error from just three feet from the front wall halted any comeback plans, as Ortiz booked his spot in his second final this season. Missoula, MT, WPH Press, 1/26/18- The Race 4 Eight hosted in first event in Montana on the final weekend of January, with the Red Death event selling out within hours of the application going live. 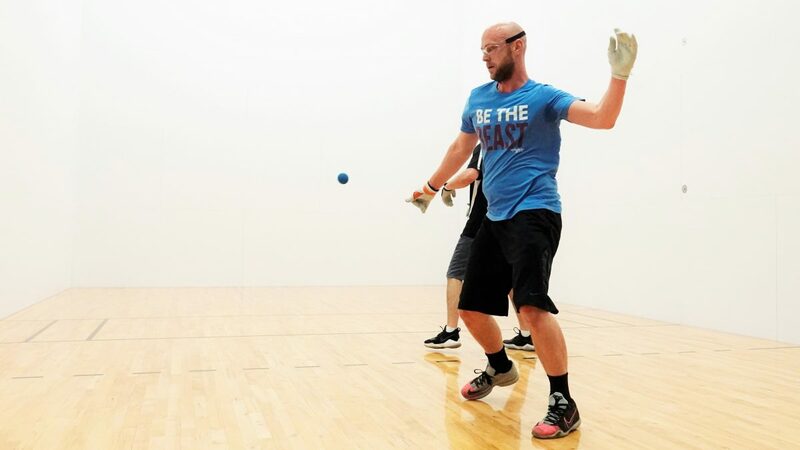 “We are so excited to be hosting the best players in the world and for our Montana handball community to have a chance to watch and play alongside our handball heroes on the Race 4 Eight tour,” boasted Red Death tournament director Sean Sandau. 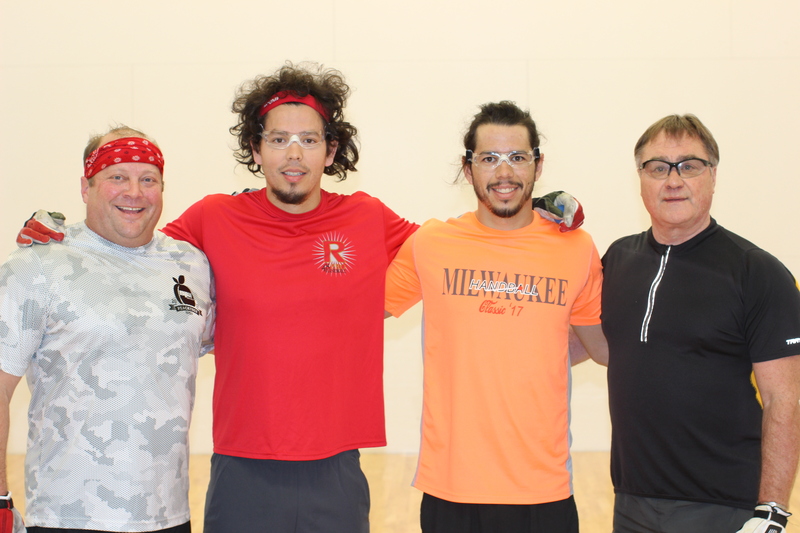 Play kicked off on Friday morning with a loaded qualifier draw that featured Luis Moreno, Diarmaid Nash, Abraham Montijo, Shorty Ruiz, and many more. 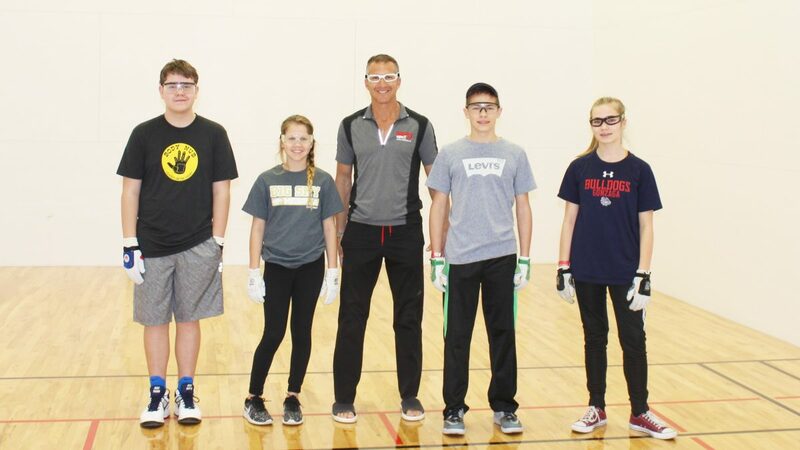 Following the qualifier, the Race 4 Eight Elite 8 faced the eight qualifier winners. 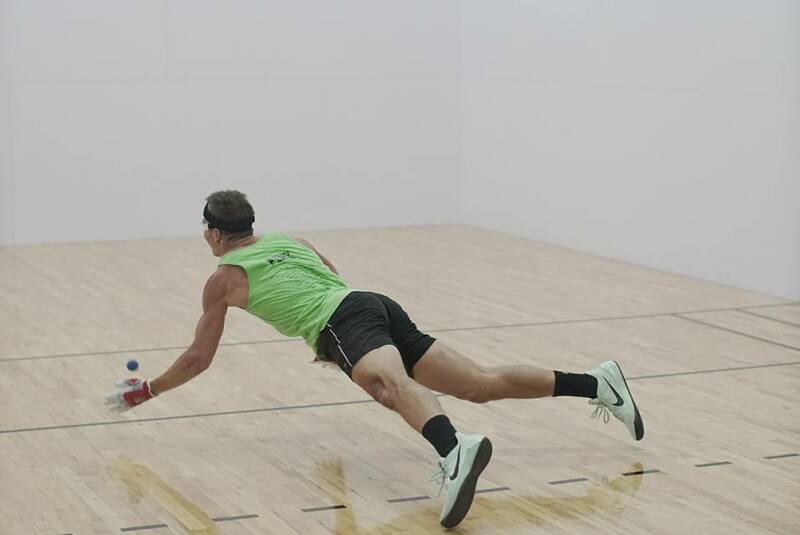 In the matchup of “Killer B’s,” Ryan Bowler played sensational ball to oust Dalton Beall and stay in the R48 top 30. 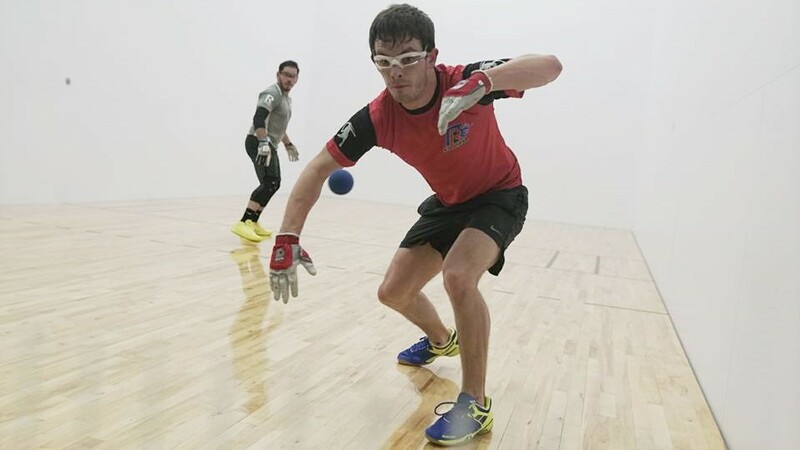 In the remaining qualifier matches, Jonathan Iglesias overcame hard-hitting Michael Gaulton, Red Death ambassador Abraham Montijo cruised past Washington’s Fred Schoener, Shorty Ruiz ousted Steven Stenberg, Ireland’s Peter Funchion qualified for the second consecutive event by defeating Scottie Moler, while current Irish National champion Diarmaid Nash qualified for the first time in two years against former junior star Pete Papathemetrios. The eight qualifiers drew numbers out of a hat, with the corresponding number dictating the order in which they chose their Elite 8 opponents. Ryan Bowler picked the number one, selecting Marcos Chavez, Jonathan Iglesias drew number two and selected Vic Perez, Loren Collado drew number three and selected David Fink, while Diarmaid Nash picked the number four and chose Daniel Cordova. Funchion selected Luis Cordova, Ruiz selected Mando Ortiz, Moreno chose Sean Lenning, and Montijo was left with Killian Carroll. 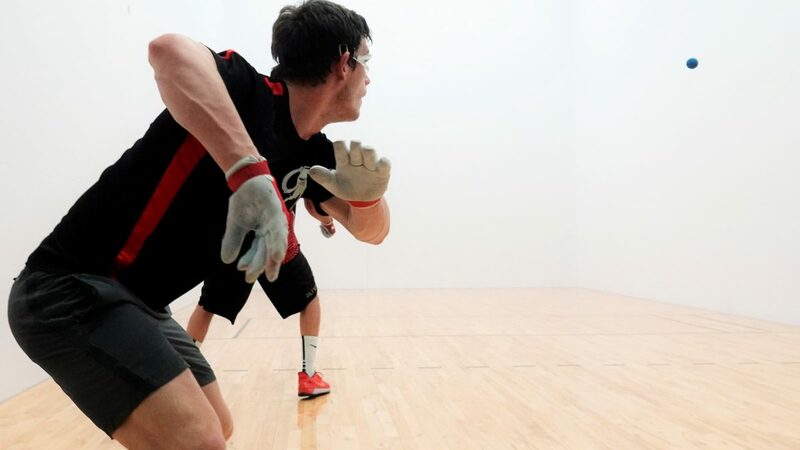 The Red Death’s R48 round of 16 produced a number of thrilling overtime games and tiebreakers, as enormous Montana galleries filled Missoula’s Peak Fitness Center to catch a glimpse of the world’s best handball players. 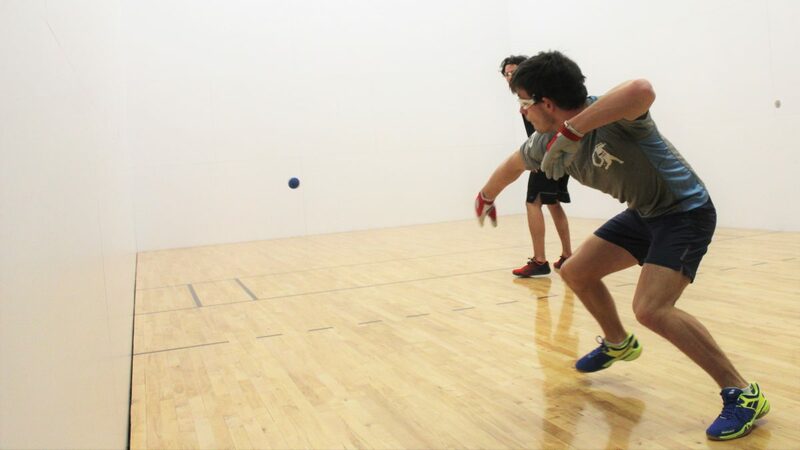 Marcos Chavez was clinical in eliminating Ryan Bowler, taking the top-ranked Canadian on several dozen tours of the court en route to a two-game sweep. 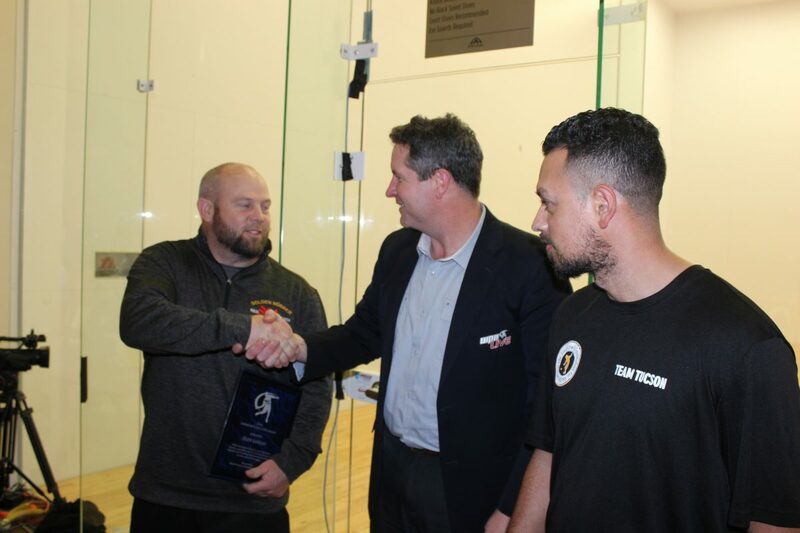 Sean Lenning appeared rusty in game one against 10-time R48 champion Luis Moreno, making nine errors en route to a one-game deficit against “The Natural.” Lenning righted the ship, locating his serve and sensational kills to defeat Moreno for the second consecutive event. “I haven’t been playing too much, just an exhibition match a couple of weeks ago,” stated Lenning. Former Lake Forest College roommates met for the third time in in less than a year, as Jonathan Iglesias faced seventh-seeded Vic Perez. Iglesias took an 8-2 lead in game one, but was unable to maintain his advantage, losing a 38-minute game-one in overtime, 16-14. Iglesias started hot in game two as well, leading 6-0 before falling flat, losing to Perez for the third consecutive time in the main draw. 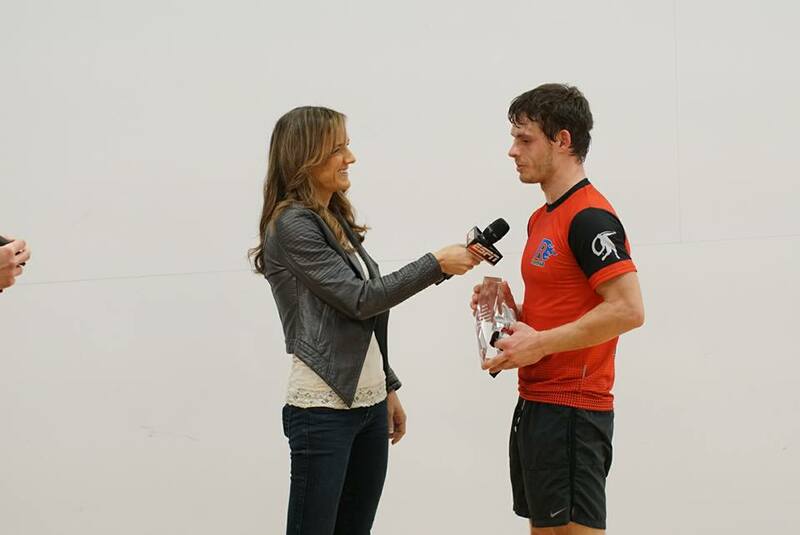 Irish National champion Diarmaid Nash met nextgen star Daniel Cordova in one of the day’s marquee matches. The pair played to a standstill for much of game one, dazzling the huge Missoula galleries with diving retrieves, deep court kills, and ace serves before Cordova broke through to serve for the game at 14-12. Cordova was unable to capitalize on two left-handed opportunities from the short line, skipping the setups to allow Nash back into the game. Nash served for the game at 15-14 and after a 15-shot rally, Cordova mishit a left-handed ceiling shot to drop game one. Nash seized the momentum in game two and cruised to the quarterfinals. 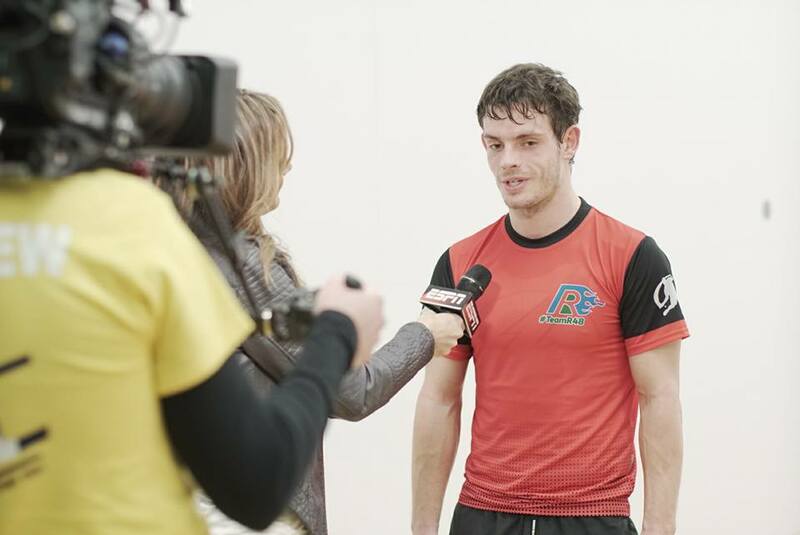 Top-seeded Killian Carroll faced Tucson’s Abraham Montijo in the night’s first primetime match and took control early, building a 9-2 lead and never looking back en route to a one-game lead. The Pride of Tucson pushed the R48 #1 in game two, tying the score at eight before the Cork man scored seven of the final nine points of the match to advance. 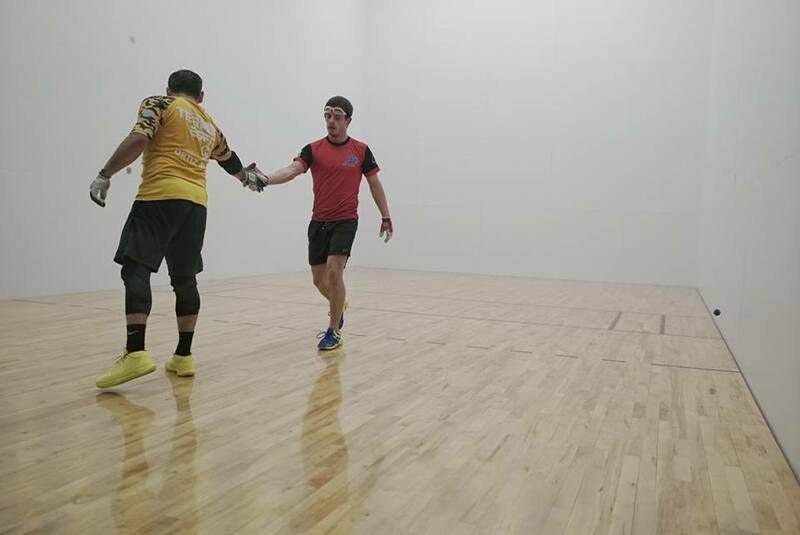 Luis Cordova took an early morning flight on Friday, flying across the country to play his late evening round of 16 match against Ireland’s Peter Funchion. Funchion defeated former R48 #2 Emmett Peixoto in his last R48 start and was aiming for his second consecutive R48 quarterfinal. Funchion’s bid for a second career R48 quarterfinal started promisingly, as Funchion grabbed game one. 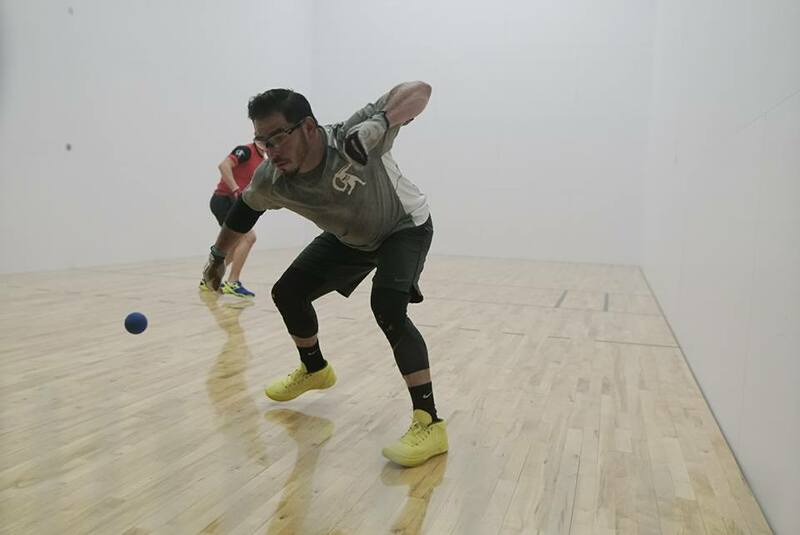 Cordova rallied in game two with his unique brand of offensive and steady handball to force a tiebreaker. 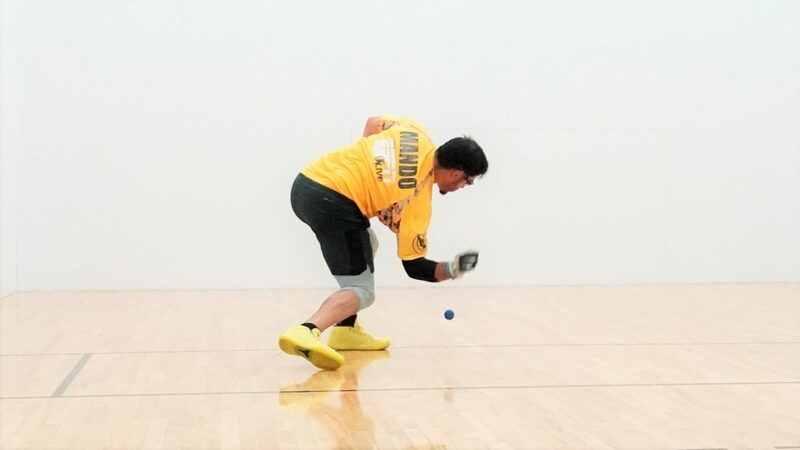 Cordova continued to outduel Funchion in game three, advancing to his third consecutive R48 quarterfinal of the season. Ryan Pesch set aside his qualifier final loss to Loren Collado by winning the 17th place playoff, defeating Michael Gaulton, Pete Papathemetrios, and Pete Svennungsen.